Laughter. Whoever coined the phrase, “Laughter is the best medicine”, was spot on indeed. Today, there were moments when I felt tired and stressed, but thanks to colleagues and friends who made me laugh uproariously, I felt a boost in my energy and my mood. I am fond of saying that I always am good for a laugh, and I am thankful that the same can be said for some of my friends and colleagues. A note from the daughter of someone special. A year ago today, one of my favorite men from the day shelter for homeless men where I work died ( “A Eulogy of Sorts” ) , and I marked this anniversary by contacting his daughter. She responded with a very sweet message that really brightened this day and made me feel connected to her father, and it also reminded me that while my paycheck may not reflect it, my job is priceless in countless ways. Flannel sheets. Forget high thread counts and silk or satin sheets, flannel is where it is at, especially during the coldest week of the season. I love falling asleep and waking up awash in the softness and warmth of flannel sheets, as they begin and end my day on a cozy note and make lingering in bed even more decadent. So, nothing out of the ordinary on this Wednesday, but all of those little things made it feel all the better and brighter. It truly is the comforting things in life that we should be grateful for…..oh and I love flannel sheets too! Your job is priceless. Thanks for doing what you do. It is truly a joy and pleasure! I am enjoying this series on gratitude and you keep brightening up my days. Thank you. Matthew, thank you so much for being a continued bright spot in my day, as it is welcomed and appreciated! I am so sorry to hear that you have been dealing with a snow storm and a power outage, and I hope everyone is safe and sound. Stay warm, and bless your heart for touching mine! Oh, flannel sheets are magical! I should definitely pull mine out and add to the rotation! So glad that I am not alone in my love for flannel sheets:) They definitely make getting out of bed in the morning even tougher, but they are worth it! Aw, thank you for such a lovely compliment, as that is so very kind of you to say! We definitely need more people like you 😊 the quote at the start sums it up perfectly. 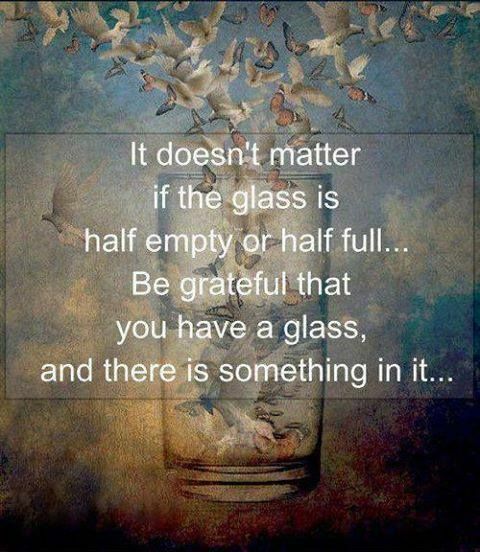 Just be grateful for having something. Such a valuable lesson. Thanks for sharing! You are so kind, and I thank you from the bottom of my heart! Flannel sheets are da bomb!